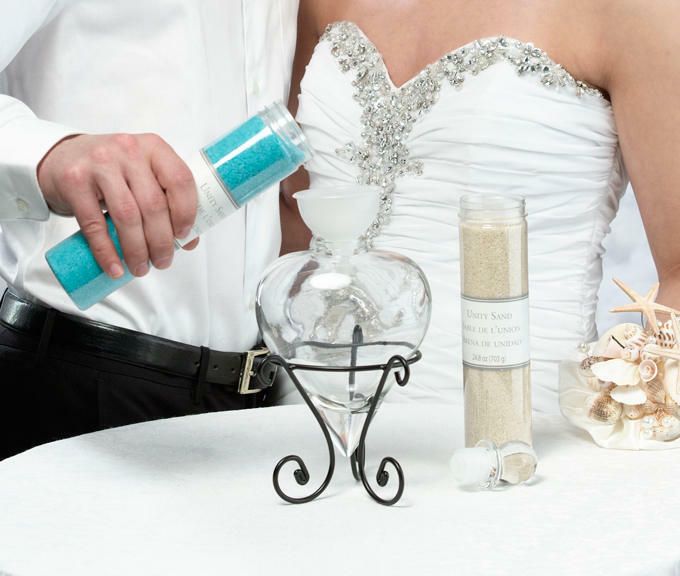 Wedding unity sand ceremony vase. 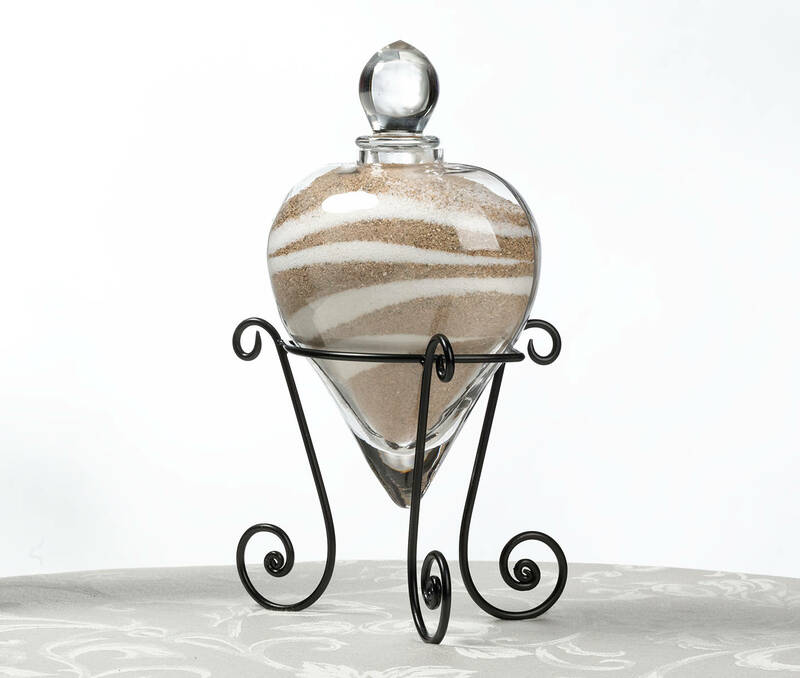 This elegant unity sand holder includes: one glass heart bottle with rubber seal cork for transportation and glass stopper. The bottle is 6.5" tall, 5" wide and 3.5" deep. The black wire base stands 4.5" tall. ***Sand not included unless you select the option in the listing. 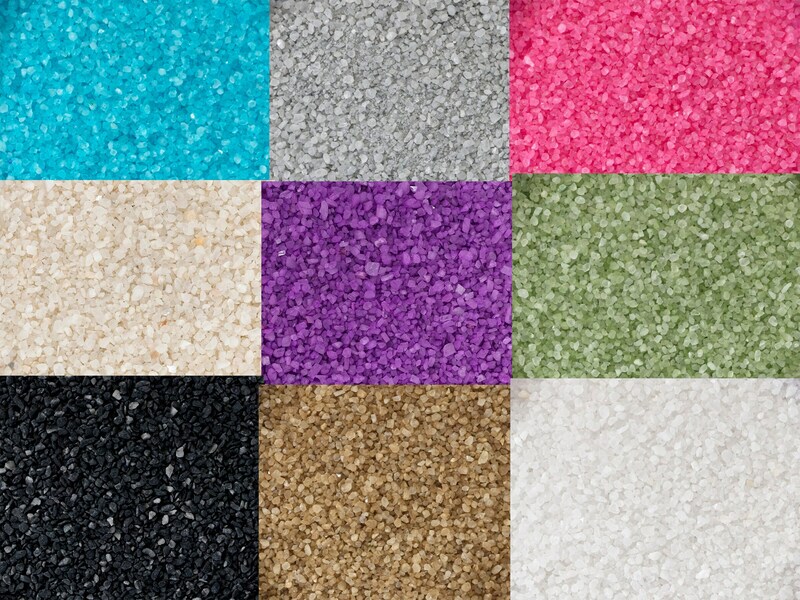 If selected you will receive 2- 24 ounce containers of unity sand. Other items shown such as funnel, flower etc. etc. are not included with your purchase of the heart shaped vessel/vase/sand holder. Very solid and bigger than expected. Not a cheap vase! Super happy about this and excited to use it in my ceremony! It was everything I wanted it to be. I loved how heavy it is with top notch quality. It perfectly fit the stand and the stand is perfectly symmetrical. I’m not sure if I had low expectations but I know for sure the product exceeded all of them. I thought it be fragile thin glass but it wasn’t. Perfect. Perfect. Perfect all the way around!